What Did Einstein Think About God? Sadly, today our culture has, “exchanged the truth of God for a lie, and worshiped and served the creature rather than the Creator.” [Romans 1:25] When the God of the universe competes with man’s attempts to make himself his own god, who wins? Who do you think? 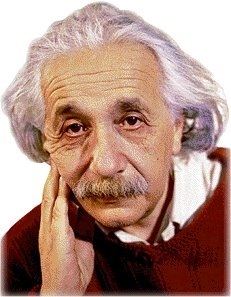 Are YOU willing to stand with Albert Einstein in awe of the Creator and honor Him for all He has done? The Family is Rock Solid! I am sure Einstein realized the handiwork of God as he delved further into the foundation of our universe. No question about it. He spoke very clearly. What’s up, Kamery Warszawa just wanted to say, I enjoyed this post Kamery Warszawa. It had been funny Kamery Warszawa. Keep posting!